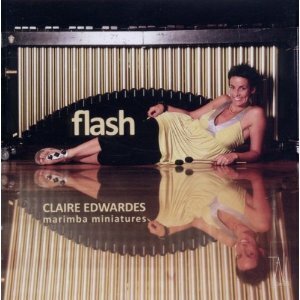 Originally a pianist, Claire Edwardes is now one of Australia’s most highly acclaimed percussionists. On her second recording for the Tall Poppies label, Edwardes has compiled a selection of 33 short pieces, some from her days as a fine pianist (Bach, Schumann, Shostakovich, Kabalevsky, Tchaikovsky, Bartok and Corea) and others are by Australian composers, some written especially for her by such composers as Elena Kats-Chernin, Stuart Greenbaum and Daniel Rojas. 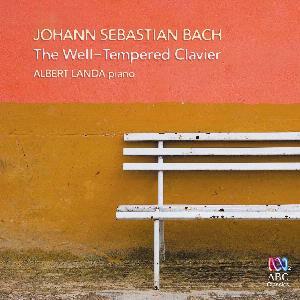 JS Bach may seem an odd choice for the marimba, but the Lute Suite in E minor BWV 996 (Prelude, Allemande and Courante) has a clarity and expressive quality that is most appealing. Such choices also remind listeners of the performer’s origins and the way in which her musical understanding has been shaped. Bartok’s Mikrokosmos (Nos 87, 113, 97), Shostakovich’s 6 Piano Pieces and Ballet Suite No 3 (Lyrical Waltz), Kabalevsky’s First Book for Pianists (3 pieces), Tchaikovsky’s Album for the Young Op 39 (4 pieces) and Schumann’s A Little Study, Op 68 No 14 (from Album for the Young) all work very well for this medium. Some are wonderful explorations of rhythm, harmony or sheer delights in melody. Children’s Songs (Nos 1, 6, 18), originally for piano, by the American jazz pianist Chick Corea are joyful additions exploring the range of the instrument and, in particular, its bass register. Whilst transcriptions can be effective and very worthy in expanding an instrument’s appeal and breadth of repertoire, it is in the pieces written specially for the marimba that there is most to gain. German composer Matthias Schmitt in three movements from his Sechs Miniaturen creates a hypnotic state with the use of repetition in the first Adagio, and a melancholic second Adagio which contrasts with a driven Presto. Elena Kats-Chernin’s Violet’s Etude is energetic and tuneful, whilst Stuart Greenbaum’s April Revisited has a more reflective quality. Pierrot the Clown by Andrea Keller is quirky and playful. Mirimba (sic) by Daniel Rojas is complex with its syncopated rhythm and references to Latin American music. Using the upper register, Trance Ripples by Gerard Brophy has been inspired by African rhythms in this piece an individual addition to the performance is Ms Edwardes wearing of an African anklet rattle on her right arm, which adds another timbral effect. Of course, no marimba performance is really complete without the iconic, joyous and virtuosic Marimba Dances (first movement) by Ross Edwards. This is a mainstay in the repertoire and Ms Edwardes’s performance here is fresh and filled with exuberance. The high energy, pulsating drive and virtuosic sweeps in Matthew Hindson’s Flash make this a really engaging and standout piece. Edwardes plays a 5-octave marimba and the disc was recorded at City Recital Hall, Angel Place, Sydney. She is a most consummate performer who is able to bring flair and passion to all her performances. Perhaps there are no other piano sonatas than these which have attracted such wide difference in interpretation. These sonatas written (1821-22) at a time when Beethoven was very ill and deafness had overtaken his life. He was also greatly obsessed with devotion to his nephew, Karl. Beethoven triumphs with these lasting testaments to the human spirit and the tragedy of life which is also defied with great joy and humour at times. 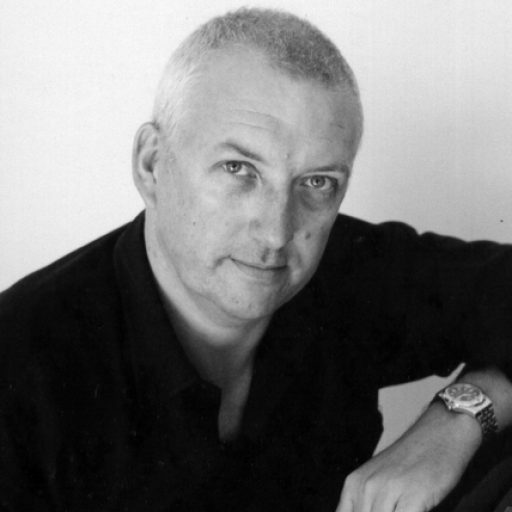 Melbourne based pianist, Ian Holtham is one the this country’s foremost master pianists, having performed throughout the world. During his early training, Holtham was based in Europe and studied under such luminaries as Geoffrey Parsons, Enrique Barenboim, Geza Anda and Peter Feuchtwanger. It has been rare for Australian pianists to take on the ouvre of late Beethoven works such as this (afterall, there are numerous international recordings already), but Holtham brings to this recording a maturity of style, emotional depth and clarity of touch that will stand out with confidence as a recording of enormous insight and dramatic power. He conveys through his playing the impact of the composer’s powerful and personal statements. The tenderness of the opening movements of Op 109 and110 belie what is about to come, as they launch out into displays of artistic and structural originality. The third movement of Op 109 being a set of variations whilst that of Op 110 is fugal growing out of a beautiful arioso. The madness and genius of the Op 111 (first movement) is quite breath-taking, full of anxiousness and pumping adrenalin. Finally, the second and last movement (a set of variations) is so filled with despair and closure, one can hear the sobbing in every note. These final piano works of Beethoven is music of utter genius, recorded here by a man of outstanding understanding. The three Steinway Model D grand pianos used on this disc are located at Melba Hall and have been named after pianists (Farren-Price, Holtham and Jost) who have had a particularly strong association with the Faculty of Music at the University of Melbourne. It is the first time the three instruments have been heard as solo instruments on the one recording. I never tire of listening to the “48” for they hold an incredible spiritual sense, deriving, I suspect, from Bach masterfully working in all 24 keys (12 major and 12 minor) with inspired polyphonic intricacy. Listening (and playing) these works can give an experience, not only to the soul and intellect, that is profound. Australian pianist Albert Landa has, as he has described it, “climbed Mt Everest”. Collected in a 4 CD set, the over 4 hours of music was recorded on a Steinway Model B at a private Sydney home. As with any recordings of Bach by pianists, it is a highly personal statement, full of the performer’s own insight into the remarkable ourvre. Putting aside the acoustic qualities that are somewhat different to the clinical studio sound, the use of expressive devices, judicious use of pedal, this complete recorded set has much to offer any student, teacher or music lover. Landa brings to life what for some may still be dusty and scholarly works. He infuses character and searches his own soul for the right artistic response from this great Baroque master. “Some of the pieces embody the sheer joy of the keyboard and the virtuosity of playing it, while others are so profound they could be taken straight from the St Matthew Passion. Like Mt Everest, this music is aloof, terrifying and you have to respect it, but it is also filled with glorious insight into the soul and spirit of existence,” said Landa. A snapshot of the huge variety of opportunities available at The King’s School.